How can your law firm nab the number one spot on Google? Is your firm even being found in local search? How can you not only compete but hold your position? These are questions that every law firm in 2019 needs to ask themselves. The thing is, your potential customers are already searching for you online, and it’s up to you whether they find you or not. Search Engine Optimisation (SEO) and Pay per Click (PPC) can seem alien to most people, and why wouldn’t it? However, we see more and more firms adopting digital marketing strategies to tap into customer bases they haven’t yet before. Google advertising for legal services has the most costly keywords, so making sure you’re managing your ads properly is key to ROI. However, as PPC becomes more prevalent, many of the smaller firms do not have the budget to compete against the bigger names, therefore SEO is a great way to attempt to combat the big players in the industry. It is essential to understand that SEO is not a short term fix and most firms won’t see results for up to 6 months to a year. To cut through the many tactics of SEO, we’ve collated 10 tips for dominating your local search area. Whether your firm is based in a city or in the middle of the countryside, these easy tips will help you make the first step to growing your business online. Setting up a Google business account is easy. It’s a free and easy to use tool that allows businesses to tell google their business information and manage how they appear online. 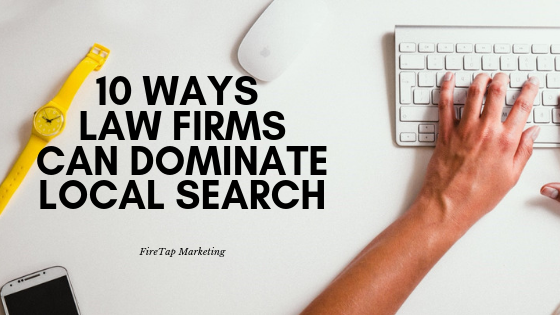 This is a great way to target leads in your area as many searchers use maps to find a local law firm. To make the most of the listings, you should create a separate listing and landing page for each of your offices, and ensure all listings are optimised with your business address, name, opening hours and logo. Whatever happened to Yellow Pages? It moved online. There are hundreds, if not thousands of free listings websites available We recommend creating listings on industry specific and local directories as well as the big players such as Yell, Yelp, Bing, Google, just to name a few. Ensure the information provided is correct and consistent with your website branding. “Schema mark-up is code (semantic vocabulary) that you put on your website to help the search engines return more informative results for users.” Neil Patel. Schema Mark-up allows search engines, such as Google, to interpret the content and context of your website. You can us the specific ‘attorney schema’ to provide additional information, such as your location to support with local SEO. Write your website content for the user and not for a lawyer. This commonly goes a miss with many law firm websites. Most people searching for legal services or legal advice do not know the ins and outs of law and will get lost in legal jargon. Simplify your website so that the user knows exactly what they need to do and where they need to go to get it. It’s best to keep it simple, so no overly complicated legal terms and keep it as short form as you can. We recommended breaking up content into short paragraphs with a strong call to action, as well as using bullet points and headers help the reader to navigate to where they need to be. Furthermore, ensure you add links to the next step you want users to go and make it easy for the lead to reach the contact page. Note that if your pages take too long to load, users will simply abandon and use a competitor whose website works for them. If you have multiple offices, ensure each have their own landing pages that have the name of the location throughout the page content. FAQs often include the specific term the user is typing to find your services, which is a quick and easy method of getting your leads to make contact. So, why not include these on your website? We recommend having up to 10 FAQs on your website regarding your services. The FAQs can also be utilised in blogs and social media content, where you can include all your keywords and locations too to further assist your local search efforts. If your pages take too long to load, users will simply abandon and use a competitor whose website works for them. You can check your page speed on Page Speed Insights from Google, which analyses what’s not working and suggests a way of fixing it. Page speed is essential to reduce your bounce rate and also contributes to your SEO. Check your website speed here. Optimise the content of your website for local search by ensuring your Meta tagging (page title and descriptions) include the location you are trying to target. This can also be achieved within the actual page content, as mentioned, in the form of keywords, FAQs testimonials and customer stories. Internet users searching for a specific service are significantly influenced by online reviews, especially searching for a local and personal service. Leads will gain trust through reading reviews and could be turned away by negative comments. Having an indication to the quality of your service is a powerful tool which should be utilised to your best ability. Get the timing right: It’s a sad reality, but it doesn’t change the fact of the matter that unhappy clients are more likely to leave a review than those who were happy with the service they received. When a client actively expresses how thrilled they were with your service, it doesn’t hurt to pop them an email asking for a review. Don’t make the task taxing: Create a branded PDF document that staff can send out as an email attachment to happy clients encouraging them to leave a review. Give them more than one option. (i.e. : Google and Yell) In the PDF document don’t forget to include the links directing your clients directly to the ‘Leave a review’ page. Educate Clients on how to leave a review: Ensure you include a tutorial on how to leave a review in your branded PDF document. You’ll be surprise how many people don’t know how to do it. Don’t be afraid to ask: If you have a happy client on the phone, seize the moment and ask them to leave a review. You can then follow up with an email. As of July 2018, Mobile page speed is now part of Google’s ‘ranking factors’ in mobile search results. With up to 70% of web traffic happens on a mobile device (CIODive, 2018), it’s imperative to design or update your website to suit the needs of mobile users. If mobile doesn’t work for a mobile user, they’ll simply abandon the website. Through providing your own original and engaging content through your blog, you can then create PFDs, videos and guides to share on high-value sites across the web, linking directly back to your website. This can be done through promoting your content on industry blogs, publishing websites, magazines and online directories. This is a great way to increase exposure and awareness and also sets you as a leader in the industry. 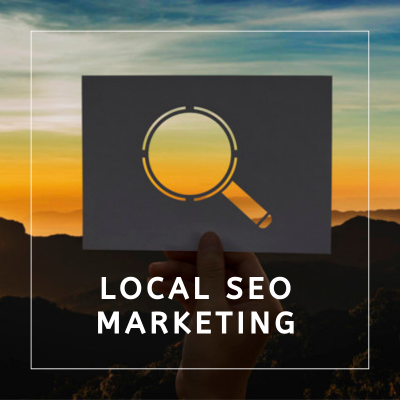 This method also assists with local search efforts by promoting your content on websites that are already performing well locally. Some argue backlinks should be the most important part of your SEO strategy, so ensure you are consistently building them up. Don’t stick to one type of content; you can also share guest posts and return the favour. FireTap Marketing specialise in providing effective marketing services with tangible results to law firms of all sizes with a budget that will move you up the rankings. With years of experience in the legal industry, our team can help your law firm get found online. Enquire online about our legal marketing services here. If your firm is looking for a team of experts to review your online presence you can make an online enquiry here, give us a call on 0207 842 1830, or alternatively, email us on hello@firetap.co.uk for a chat about how we can help you and your firm.